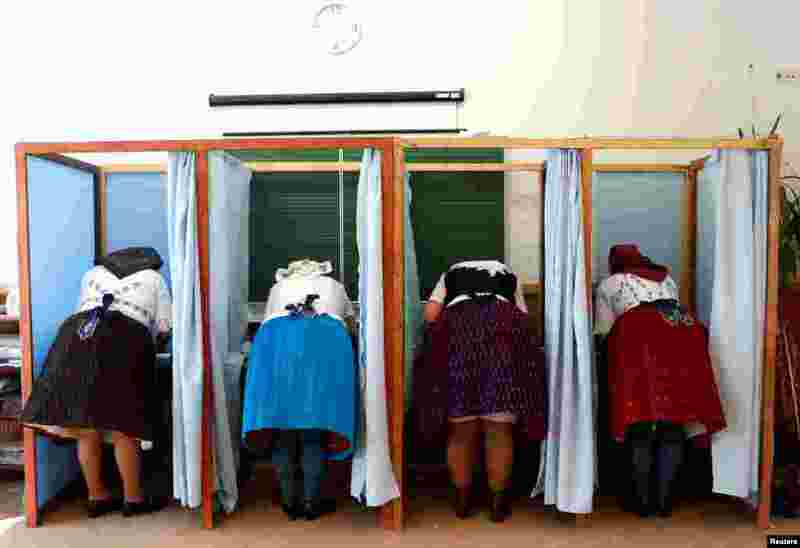 ٥ Women, wearing traditional costumes, fill their ballot papers at a polling station during Hungarian parliamentary elections in Veresegyhaz. 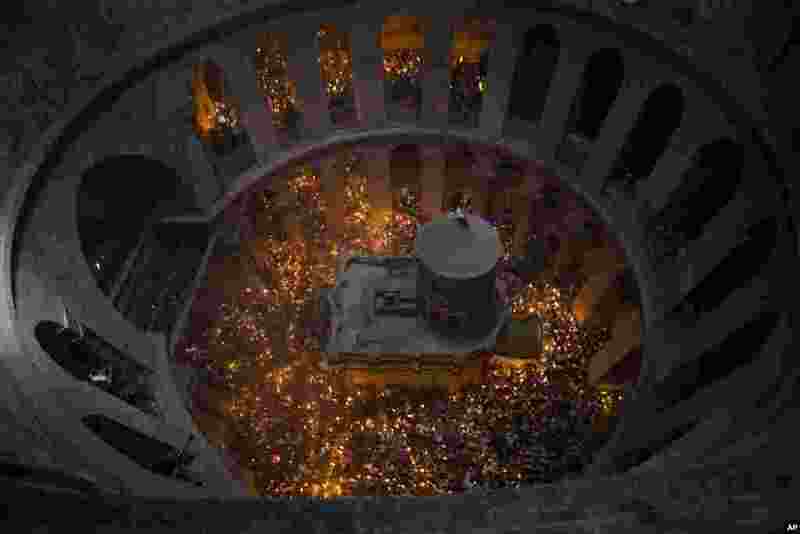 ٦ Christian pilgrims light candles during the Holy Fire ceremony at the Church of the Holy Sepulchre, traditionally believed by many Christians to be the site of the crucifixion and burial of Jesus Christ, in Jerusalem's old city, April 7, 2018. 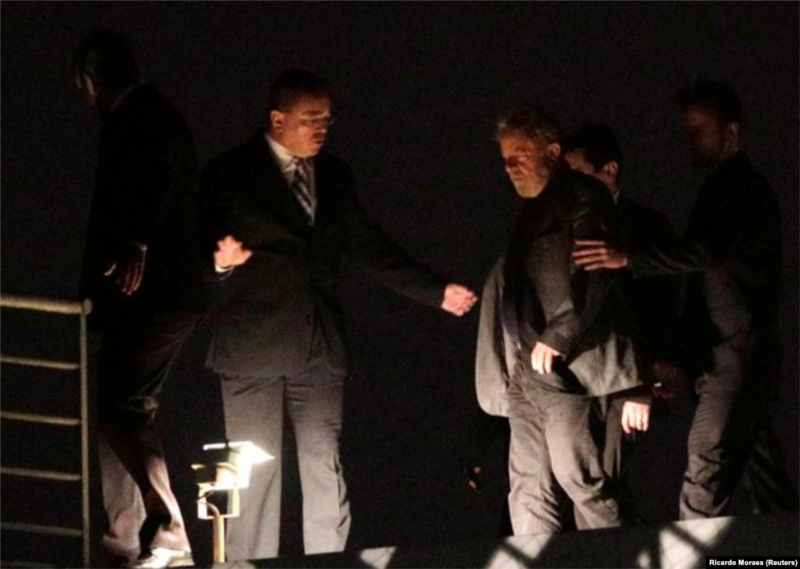 ٧ Former Brazilian President Luiz Inácio Lula da Silva arrives at the headquarters of the Federal Police in Curitiba, April 7, 2018. Lula turned himself in to police, ending a day-long standoff to begin serving a 12-year prison sentence for corruption that derails his bid to return to power. 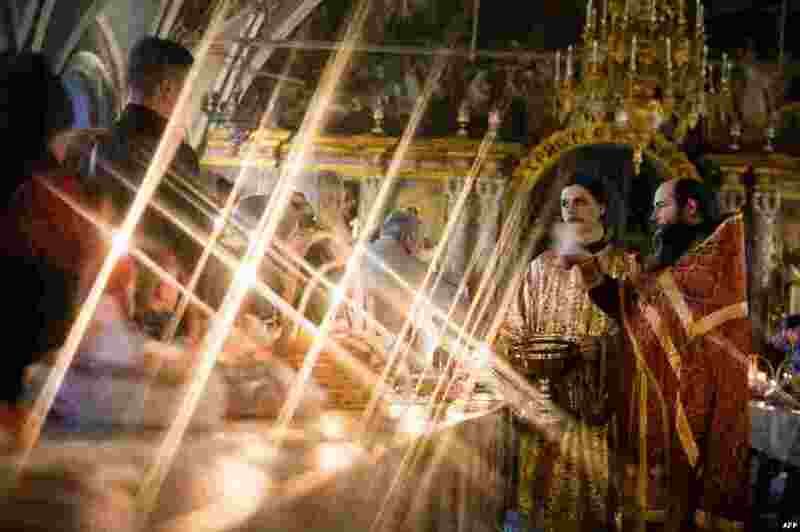 ٨ An Orthodox priest blesses cakes and colored eggs during an Orthodox Easter ceremony in the Holy Trinity-St.Sergius Lavra in Sergiyev Posad, Russia, April 7, 2018.